1. Australia’s jobs report for May will be released at 11.30am AEST. After a stellar 2017, Australia’s labour market has come off the boil this year. Jobs growth has slowed and unemployment has risen, moving further away from the level where wage pressures are expected to build. Economists expect little improvement on the unemployment front today, even with a modest increase in employment. Here’s your 10-second guide to today’s report. 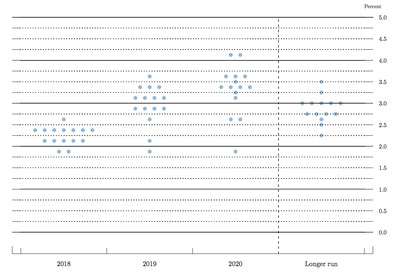 The Fed has also announced it will now hold press conferences after every policy meeting starting in January. 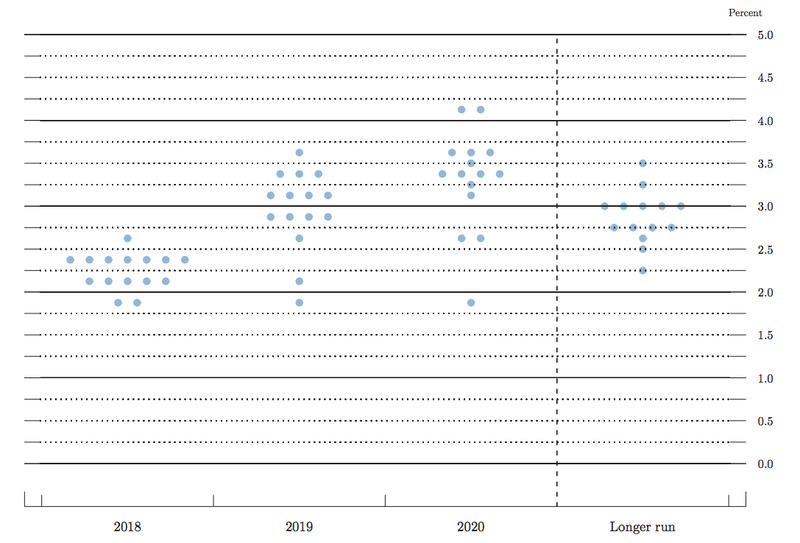 The move will give the Fed more room to cut or raise interest rates instead of waiting until meetings with press conferences, as is the custom. 3. US stocks slid while US Treasury yields and the dollar rose following the Fed’s announcement. The news also sent the Australian dollar into wild fluctuation — rising, before tumbling, before recovering once again. At 7am AEST it was up 0.11% to 0.7579. According to Business Insider’s David Scutt, another busy session is ahead. 4. The World Cup countdown is on. The FIFA championship is set to kick off at 1am AEST tomorrow with the first game between Russia and Saudi Arabia. There are lots of stats and experts weighing in on who will win, and it seems Brazil is still the hot favourite to come out on top. And what’s a World Cup without some last-minute debacles — Spain has fired its manager Julen Lopetegui just one day before the competition starts, and Iran’s team is suddenly scrambling to find shoes to wear after Nike abruptly withdrew its supply. 5. Burston’s out. One Nation Senator Brian Burston has announced his resignation from Pauline Hanson’s political party following a public row with the party leader over company tax cuts. The move will leave One Nation with only two members in Parliament ahead of crucial votes in the upper house next week. 6. Afterpay and Brighte’s Katherine McConnell have taken out the top two gongs at the annual Australian fintech awards, winning FinTech Organisation of the Year and Outstanding FinTech Leader of the Year respectively. See the full list of winners from the 2018 Finnies here. 7. Huawei is likely to be excluded from providing equipment for Australia’s 5G wireless networks following national security concerns. According to the AFR, Australia’s security and defence agencies are firmly against the Chinese telco giant winning the contract. Prime Minister Malcolm Turnbull is expected to announce the final decision soon. 8. Cryptocurrency experts have slashed their year-end forecast for Bitcoin by more than 50%. Ouch. Back in January, comparison site finder.com.au’s crypto experts had Bitcoin pegged for a value of $43,370 on average by December 31. Now, they’re now tipping it can reach $18,883 in the same time frame — still a hefty increase on today’s price, but certainly a lot wobblier outlook than at any other time this year. 9. There is now a blockchain-based religion. No, this is not a joke. Former Augur CEO Matt Liston has founded a blockchain religion called “0xΩ”, pronounced “Zero Ex Omega”. Despite founding a blockchain-based religion, Liston maintains that he is not a “Cryptprophet”, or the “Cryptsiah”, or the “CryptChrist”. Liston is but a humble developer, and doesn’t suggest to possess divine knowledge but describes the project as a way to “incentivise mindshare”. Is Liston trolling us? Maybe. WATCH: A moment to forget for new captain Tim Paine. The Aussie bowlers did their best to keep England at bay but the Poms reached their target with six overs to spare, finishing at 7-218. BONUS ITEM: This 8-year-old kid slays a cover of Led Zeppelin’s “Good Times Bad Times” on the drums.